As the population ages, trauma physicians are treating more elderly patients. An understanding and appreciation for the unique aspects of this demographic is essential to maximize outcomes. This chapter will review the physiological changes that occur normally with aging, concentrating on the cardiopulmonary, neurological, and renal systems. We will also discuss the important premorbid conditions that affect resuscitation, treatment plans, disposition, and outcomes; these include comorbidity, medications, nutrition, cognitive status, and functional capacity. We will introduce the concept of frailty in the elderly and its importance for prognosis. Finally, we will present the latest recommendations regarding the approach to the elderly patient who presents with emergency surgical needs with an advanced directive in place. http://www.nia.nih.gov/health/publicaztion/why-population-aging-matters-global-perspective/tren-1-aging-population. Page last updated 7 Oct 2011. National Highway Traffic Safety Administration. Traffic Safety Facts 2012 data: older population. Available at: http://www-nrd.nhtsa.dot.gov/Pubs/812005.pdf. Mar 2014. Centers of Disease Control. CDC/NCHS national hospital discharge survey. 2010. Available at: http://www.cdc.gov/nchs/data/nhds/4procedures/2010pro4_procedurecategoryage.pdf. Centers for Disease Control and Prevention. The state of aging & health in America 2013. Atlanta: Centers for Disease Control and Prevent, US Department of Health and Human Services; 2013. Available at: http://www.cdc.gov/aging/pdf/state-aging-health-in-america-2013.pdf. Calland JF, Ingraham AM, Martin N, Marshall GT, Schulman CI, Stapleton T, et al. Geriatric trauma, evaluation and management of. 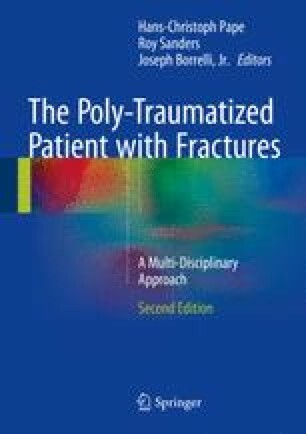 Available at: https://www.east.org/resources/treatment-guidelines/geriatric-trauma,-evaluation-and-management-of. Accessed 30 Sep 2014. American College of Surgeons. Statement on advance directives by patients: “do not resuscitate” in the Operating Room (2014). Available at: http://www.facs.org/fellows_info/statements/st-19.html. Accessed 30 Sept 2014. American Society of Anesthesiologists. Ethical guidelines for the anesthesia care of patients with do-not-resuscitate orders or other directives that limit treatment (2013). Available at: https://www.asahq.org/For-Members/Standards-Guidelines-and-Statements.aspx. Accessed 30 Sept 2014.